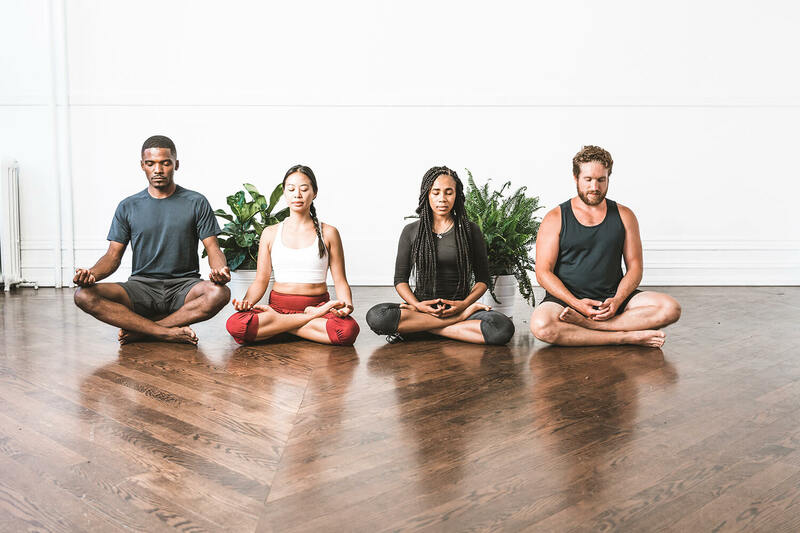 Modo Yoga LA is a community of 3 Hot-Yoga studios joined together by our love of yoga, our commitment to protecting the earth, and our drive to bring more peace into the world. We are a place for all. Whether you are an absolute beginner or a more experienced student, we offer accessible classes that are challenging, healthy and fun! When you join our sweaty family, you join a dedicated, conscious community of over 70 studios worldwide. See you soon in the hot room! Classes are heated to around 40 degrees celsius with about 40% humidity. External weather conditions and the number of students in the class can have an effect on the temperature inside the room. If you’ve never practiced hot yoga before it might feel quite hot during your first class, but over time, your body will acclimatize to the heat. Students are encouraged move through each class at their own pace, taking rest and water when needed. You'll need a yoga mat and water for class. You might also want a mat towel, depending on how much you sweat. We have filtered water available at the studio so BYOB – bring your own bottle! Yoga mats, mat towels and shower towels are also available to rent or buy if you don't have your own. We also recommend bringing a change of clothes for after class – did we mention you'll sweat a lot? !